At WorldPack Services, Inc, we specailize on the design and fabrication of wooden crates depending on the unique requierements of our customers. We have been on business for over 15 years and we offer professional service at competitive rates. 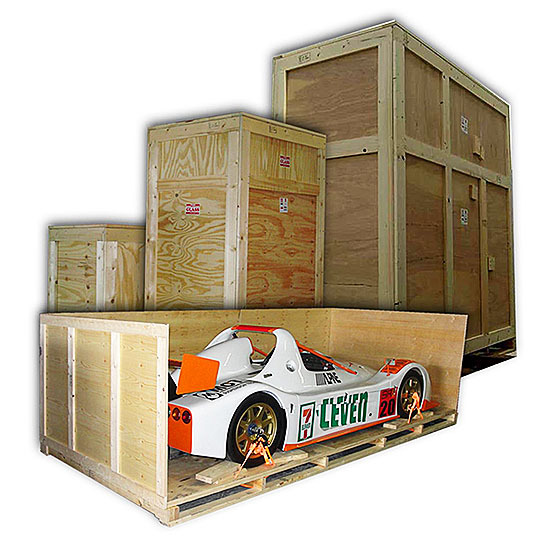 We offer a variety of packing and crating solutions following local and international standars and regulations. Our company is in compliance with ISPM-15 Standard for intenational trade, all our crates will be stamped with our unique stamp that will allow you to ship your crates anywhere in the world! We are compromised with the environment, using only woods that are replaceable and having efficient production methods that insure the best products with less natural resources. We made a project with WorldPack team and everything was well packed, on time and the service was amazing. I will recommend this guys for any crating Job. I had some electronics delivered to WorldPack, the process was easy and they received the cargo, did all the packing and crating job at their place and then ship all the crates to my freight forwarder for shipping overseas. Good and very professional service. I used their services and I loved the fact that they never moved the cargo from my warehouse, all the job was done on site and I was very happy with the result. Very good work team and great attitude. Estamos utilizando los servicios de WorldPack por los ultimos 9 años, realizan todos nuestros empaques directamente en nuestro warehouse y es algo que para nosotros es realmente importante ya que nuestra carga es muy fragil. Tienen un equipo de trabajo muy responsable y siempre estan a tiempo, realizan los servicios de empaque con interes y pensando en que todos nuestros productos lleguen a su destino intactos. Los precios son competitivos y su servicio rapido, los recomiendo totalmente y espero seguir trabajando con ellos por muchos anos. © 2017 - WorldPack Services, Inc. All rights reserved.